Cult product St Ives Facial Scrub has had a makeover and I was invited to its launch. 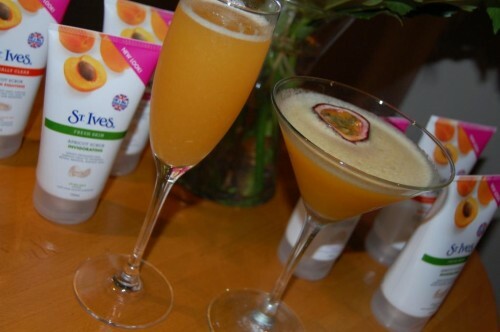 Delicious fruity cocktails and conversation flowed and when it was over I walked away with some Scrubs to try. It was perfect timing really as I was just about to take on a new beauty regime to get party camera ready. 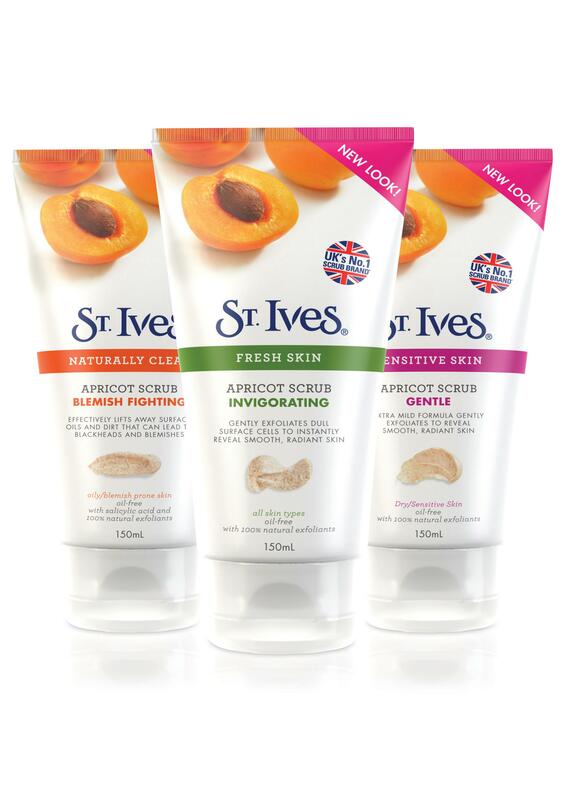 Over the course of two weeks I gave my face and decolletage 6 good scrubs with St. Ives Invigorating Apricot Facial Scrub. You only need roughly a 10 pence piece amount to cover your entire face and neck which makes the scrub an affordable alternative to expensive salon treatments. Don’t get me wrong I love a pamper but I cannot afford it on the required regular basis. The product scent is pretty inoffensive unless you hate Apricot of course as the hard bits that do the buffing are made from apricot kernals. 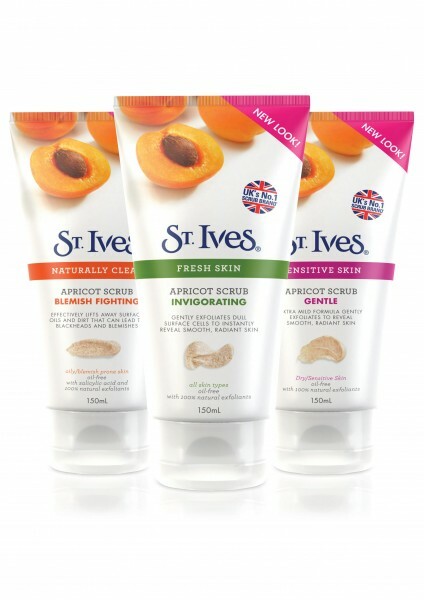 I’m always in a hurry so anything that’s quick and fits into a speedy shower routine is good for me and this the St Ives scrub is a perfect match, 30secs – 1 min of buffing is ample. 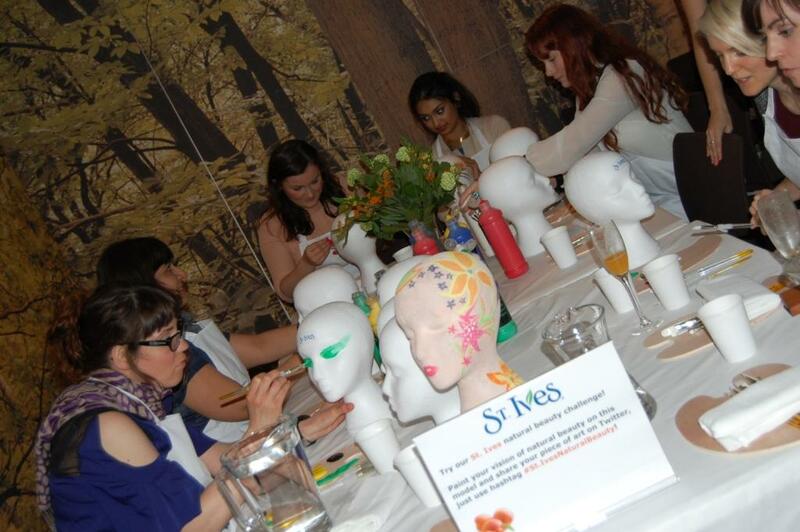 I’m not sure if my skin is more radiant but getting rid of dead skin lets youthfulness shine through surely! To use an old phrase I now have skin “as soft as a baby’s bottom” plus clear pores as an added bonus.